Below you will find a basic guide that explains the necessary steps to cut Chemica HTV. This includes the most important step- the test cut!! Click on it to download. 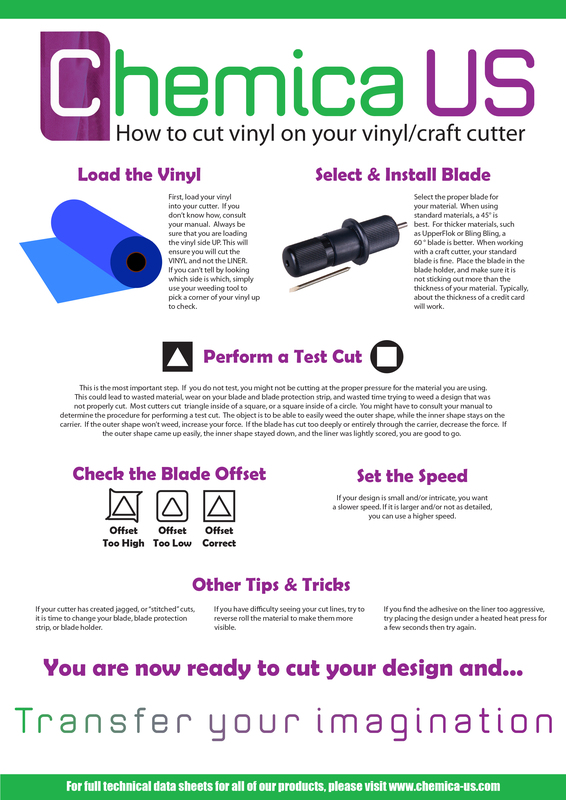 For suggested cut settings for various brands of cutters, please click here.